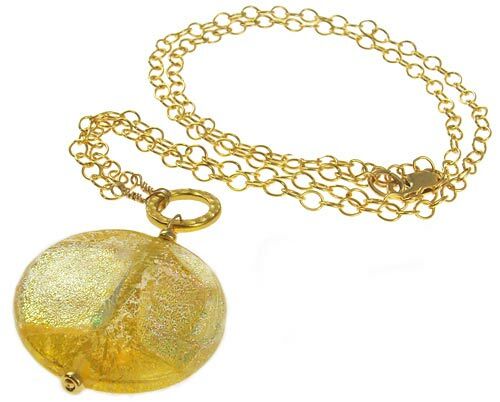 The brilliance of this necklace comes from the light reflecting properties of the gold foil and dichroic glass on the 30mm disc-shaped Venetian bead. Each pendant hangs from an adjustable 20 inch gold-filled cable chain. The beads are authentic Murano Glass Made in Murano, Italy. We assemble the jewelry in the US.